"Dad. COULD YOU COME IN HERE?!" The apple doesn't fall far from the tree, with that one and nighttime wakings. At any rate, I'm alive, here, and ready to talk about our prompt for the 4th Sunday of Advent. Paul reminds us we are called to be holy. 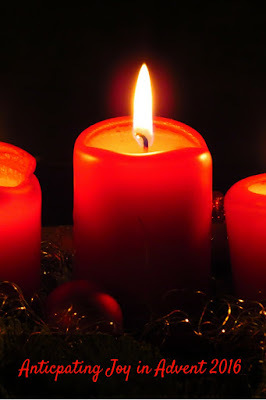 What am I doing this Advent to draw closer to God and others? My response to this is that I have tried to be more aware of my faith in the midst of daily distractions, particularly this past week. In the 'keeping it real' category is the fact that this Advent hasn't felt as special and set aside to me as it usually does. I've been getting a lot out of these weekly posts and the journaling prompts, but that's pretty much it. I have forgotten to light the Advent candles every single week except this past Sunday (and technically Henry lit them), and the kids have been taking the reigns with the Advent calendars. I haven't been consistent with my Advent devotional reading, and I didn't make it to the Advent Penance Service. What are your thoughts on the prompt this week? The only thing I have kept up with is the 54 Day Rosary Novena. I have to say, I really like that this has taken us through the entirety of Advent. It is continuing to give me a sense of peace through this season. By way of drawing closer to others, I'm trying to be more present when I'm at home with my family instead of curling up in my room with a book all the time. That seems to be my default at home.